of 8,000 ex-Sicilians in the Capuchin catacombs of Palermo, contemplating mortality has a long history in the region. Sicily has been claimed by a number of invaders -- Greeks, Carthaginians, Romans, Arabs and Normans -- and, more recently, Sicilians have had to contend with a powerful mafia. These days, Sicily is relatively peaceful and safer than most visitors realize (just be sure to keep a close eye on any loose bags). Remember: Sicily was conquered for its near-perfect confluence of weather, landscape and position, and the island is now one of Italy's best surprises. 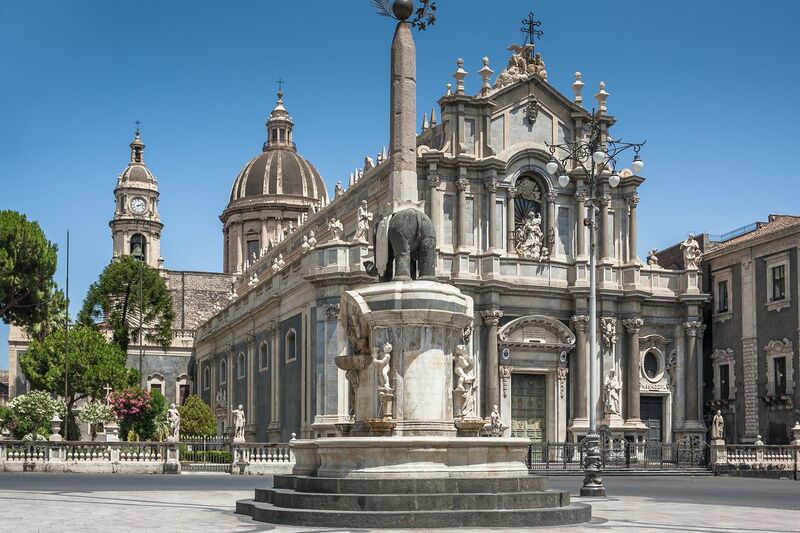 From Greek ruins in Syracuse or Agrigento to the baroque architecture of Catania, Sicily is a wealth of archaeological and architectural treasures. All of the influences throughout history have also ensured Sicily's culinary prowess. Seafood battles Sicilian pastries and desserts as the island's top offering, but you can also taste why its wine and unique pasta dishes are becoming well-known around the world. Sicily was all we expected and more. The greatest advantage of the region is that most of tourists end up staying in the north of Italy so you will find a lot of Italian vacationers only. Sicily is not as developed as Tuscany and another places but that's what adds an extra charm to it. We drove around the entire Island for 2 weeks and visit many amazing places. From breath taking beaches to Canions, not to mention the AMAZING Etna. I recommend that you stay at cities like Gallina, Marsala, Aci Castello in order to get the local experience. These small cities are close to the main hubs and will offer away more. A delightful island with a wealth of sights both cultural and outdoor. No visit is complete without a trip to the cliff top town of Taormina and a visit to the famous Mount Etna. If you love food, sunshine and history, visit Sicily, what some people say is the heart and soul of Italy. From seafood to flavorful street foods, churches to castles, a sweeping countryside to beautiful beaches, Sicily is a great place to get away. So beautiful! If you love elegant towns with beauty and character this is definitely your place. One of my favorite places in the world, everywhere is different and full of surprises. You will not be able to understand Sicily only in one trip, this is a place you must come back always. Explore the main cities, the beautiful islands and the beaches. In June 2009 my wife and I drove around the western horn of Sicily. Our vacation included plenty of time at the beach, Greek temples, medieval villages, Phoenician ruins and lots of seafood. Sicily is a tropical paradise with a culture all its own. 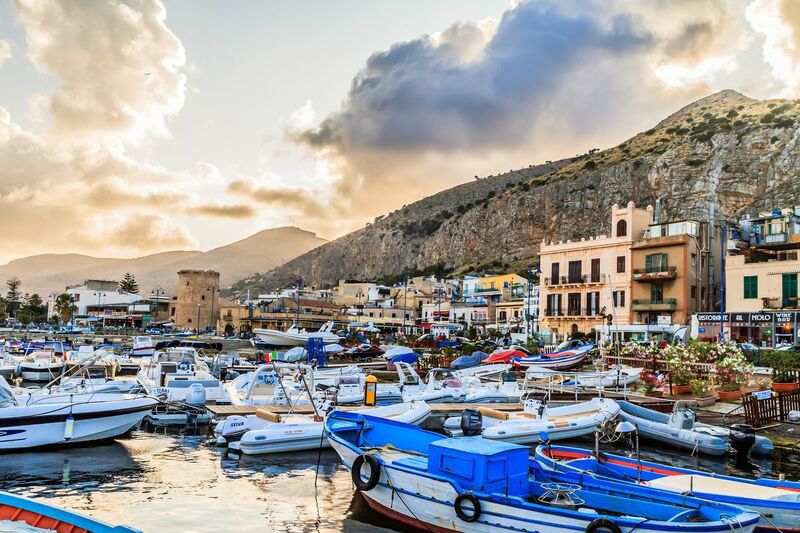 Sicily puts its own enigmatic spin on what it means to be Italian, with its fusion of culinary traditions, east-meets-west architecture, and layered history. Ancient ruins and vineyards vie with crumbling seaside villages for your attention. One place to start: the beach at San Vito Lo Capo near Trapani, where you can soak up the island’s intense sunshine. Where to Stay: Check in to Grand Hotel Timeo for its spectacular views of Mount Etna and proximity to the ancient city of Taormina, or rent a villa on the island’s western coast. The term "southern hospitality" applies to the southern island of Sicily too. I met the most warm hearted people during my stay, maybe due to the amount of sunshine they're lucky to recieve. Everyone was happy to share with me all of their Sicilian traditions, stories and good eats! The islands land and seascape is enough to make you want to go, but the people are what made it a perfect destination for me!